Do you sell goods or display content which children should not be able to purchase or view? Do you own an adult website in a country which by law requires you to verify the age of your visitors? Whatever your requirements are, this module can verify your visitors age and let them either browse your site or redirect them to the page you choose depending on the users age. 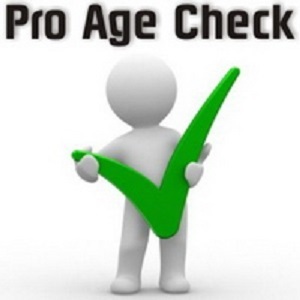 Pro Age Check is an extension that can be set to ask your visitors about their birthday. It then calculates the visitor's age, and if they are not old enough, they will get redirected to some other page/site of your choosing. You can set the age limit in the module backend and use the plug-in to add the form to any page you want. The form can be translated or changed to meet your demands. For your verified website users, Pro Age Check has the ability to set a cookie and let them browse your site without showing the verification page again. A permanent redirect option is also available if you don't want to let returning unverified users to access your website. All of the above WITHOUT the need to alter any code!